HONDA Racing has announced that Leon Haslam and Cal Crutchlow have signed for new-look HM Plant Honda team to compete in the 2008 British Superbike championship. Honda Racing and HM Plant have won the last two British Superbike titles with Japanese ace Ryuichi Kiyonari and now they've put together a team of two young British stars who will be going all-out for glory from the first race of the season next year. 24-year-old Haslam from Derbyshire and 22-year-old Crutchlow from Warwickshire will both campaign the all-new CBR1000RR Fireblade on behalf of the official Honda team in the 12-round championship, which begins at Brands Hatch in Kent next April. "I'm so excited to be back with Honda on the new Fireblade in BSB," enthused Haslam. "Honda is a very big part of my family's history and the new bike looks like a winner straight out of the crate. I just can't wait for next season to get started." 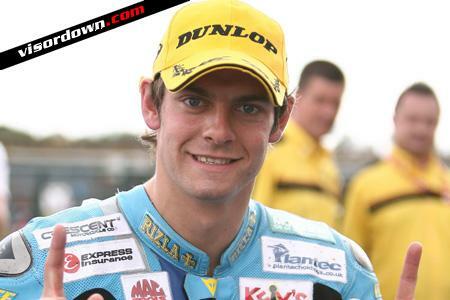 Crutchlow was a product of the highly successful Junior Superstock series and the Virgin R6 Cup, where he finished second in 2003 before riding Honda machinery in the closely-fought British Supersport championship for a number of years. With his Northpoint Ekerold Honda team, Cal won the 2006 British Supersport Championship on the CBR600RR and then made the leap into BSB with the Rizla Suzuki team. This season he scored his first podium at the final round at Brands Hatch and won the Mallory Park Race of the Year. You'll see the new fireblade at the NEC Show in three weeks ahead of it going on sale in the New Year.